As some of you may already know, I finished up with RTÉ at the end of December and with the beginning of a New Year have started a new job as Content Manager for WorldIrish. You might remember this post that I wrote back in October after the Global Irish Forum and wonder why I have left Ireland’s biggest media website. It comes down to this – I believe the time is right for WorldIrish. 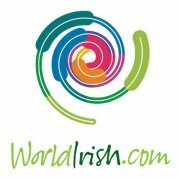 WorldIrish is the best organisation to create a community for Irish people and those who think Irish. It’s assembling an excellent team of people and will be working hard over the coming months to create something useful and meaningful for the global Irish community. I’m excited to be part of this. I started in RTÉ in 2007 and had some great experiences from covering Barack Obama’s convention speech in Denver to travelling to Kenya as a backpack reporter. I found 2011 (like most people working in the media) to be an exceptionally busy year. I established RTÉ’s first social media desk, project managed RTÉ’s digital output across several platforms for the General Election and most recently worked on the organisation’s digital strategy. I have been fortunate to work with some truly excellent people in RTÉ during an interesting time of great digital change. I’m leaving an established mainstream media organisation for a very ambitious start up. It’s going to be a big change, but one I’m keen to embrace. We’ll be working hard in WorldIrish over the coming months to introduce an online global Irish community with greater functionality. I’m looking forward to taking on a new set of challenges. And if you haven’t done already, sign up to WorldIrish here! This entry was posted in Irish Media, Online News, social media and tagged community, content manager, diaspora, global irish economic forum, Ireland, irish, RTE, worldirish. Bookmark the permalink. It might be a good move if WorldIrish takes off. I think that Ireland might be just the testing ground for the venture. Still though, 11k users in a few months is a good start.